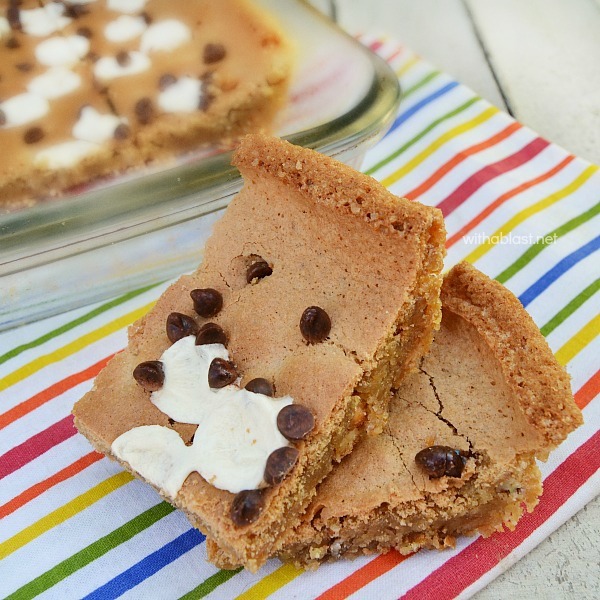 Chewy Blondie Cookie Bars have a gooey center and a crunchy top and edges – double delight and ideal to serve at tea time or for dessert. I have been craving something sweet and chewy for a couple of weeks now ! These chewy Blondie Cookie Bars have finally put an end to that. The crusty parts are especially great and I always try to get hold of the corner slices before the family can get to them. But one on the deeper side and not as shallow as an actual baking sheet. I had a couple of packets with little bits of various Nuts, all leftovers from previous uses, which I had thrown together and used in this recipe. Some were salted and others not. You can use Pecans, Walnuts or Mixed as I did, all depending on your preference. 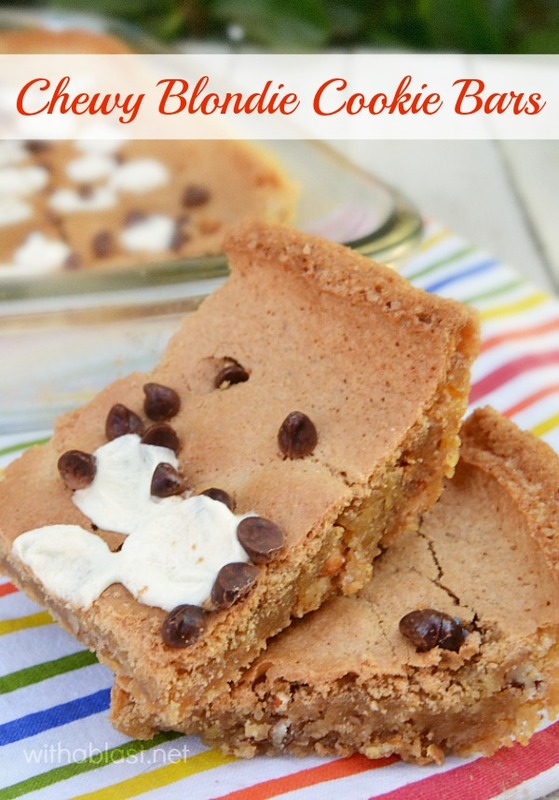 The Chocolate Chips and the Marshmallows were a last minute addition and I am glad I did add them. I will never say no to chocolate of any kind and marshmallows always adds more fun and taste to any sweet treat. 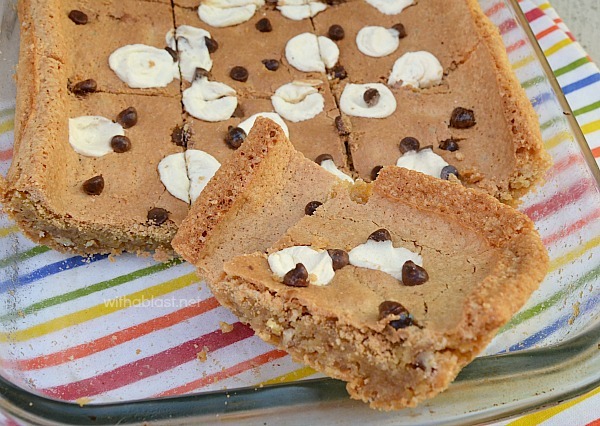 Tea is almost ready and then I am off with a plateful of these delightful Blondie Cookies to enjoy while reading a new sci-fi/thriller I had just added to my reader today. 1.) Pre-heat the oven to 180 deg C (350 deg F) – spray a 20 x 30cm ( 9 x 13 inch ) baking pan with cooking oil.